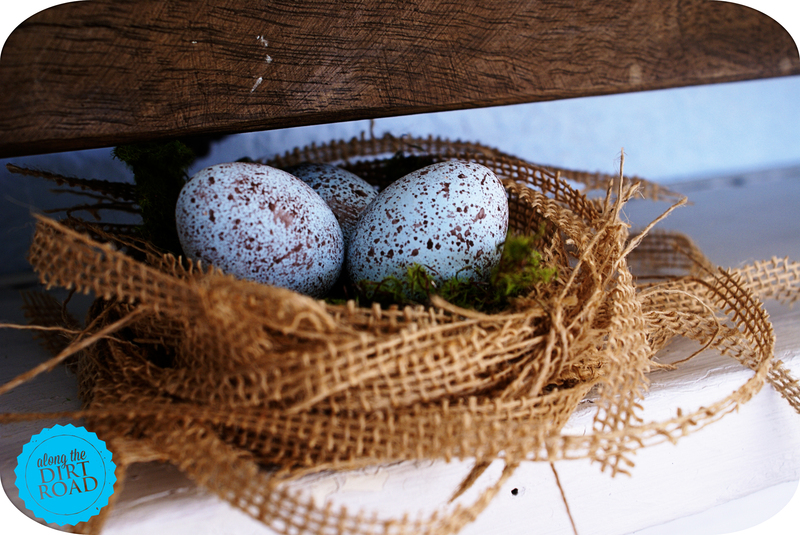 Aren’t nests wonderful? A tiny little home for raising young. 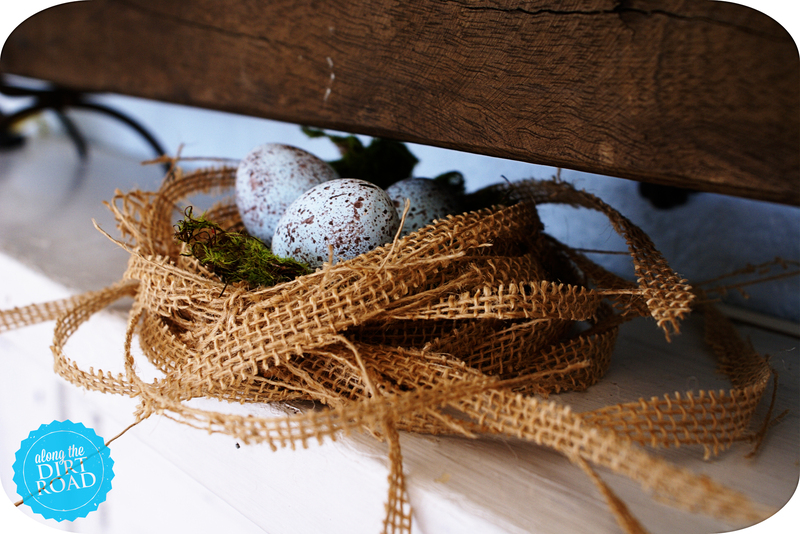 Sometimes perched on a branch…sometimes crafted in the wreath on our front door. (There was some craziness with that…when Momma Bird flew in the door a time or two.) 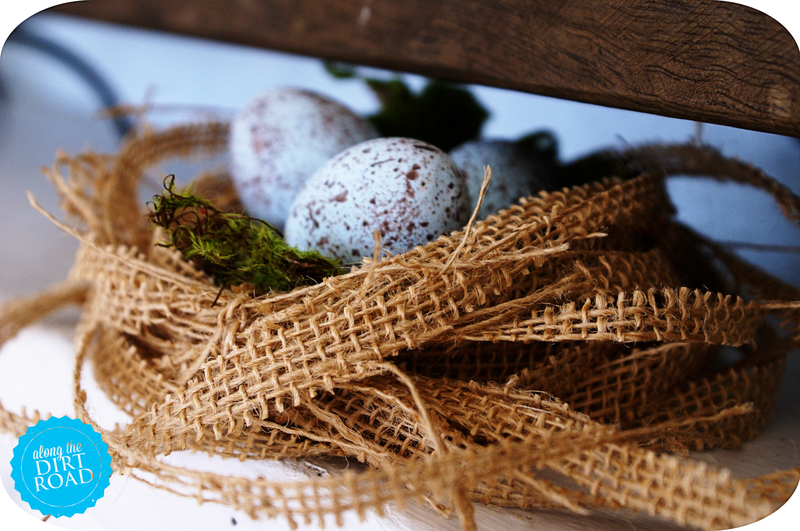 There is just something about sweet little nests that warm this momma’s heart. When our babies are on break from school I am known to say that I have all of my babies in the nest. I LOVE SUMMER VACATION! I just had to yell that at you. I love babies chirping around here all day long. I enjoyed the Mr. and I having a full nest during Spring Break too. You know…I just thought…my maiden name is Finch. Maybe…that is what this is all about. Okay…so I’m cracking myself up with that one. While we were on Spring Break…I asked my little daughter to cut some burlap strips for me. 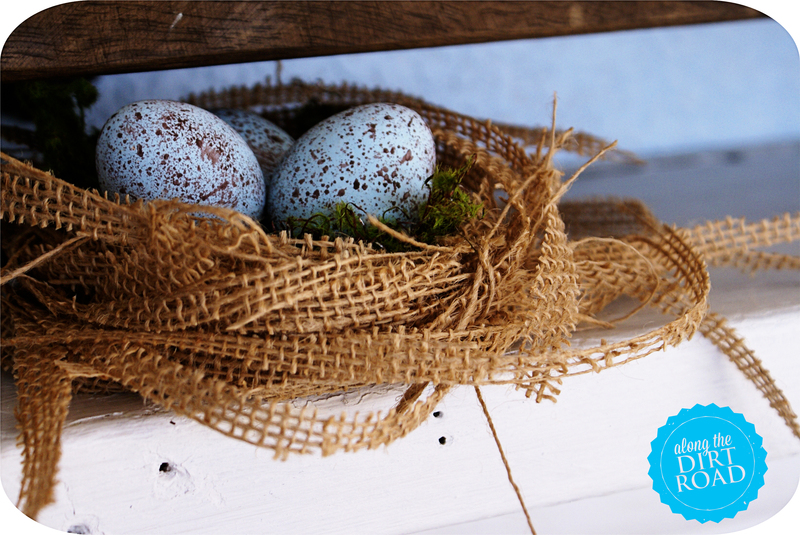 She did a wonderful job…and I have had this little burlap nest idea bubbling for a while. That’s about all that there is to it. Cut the strips…form a little nest. 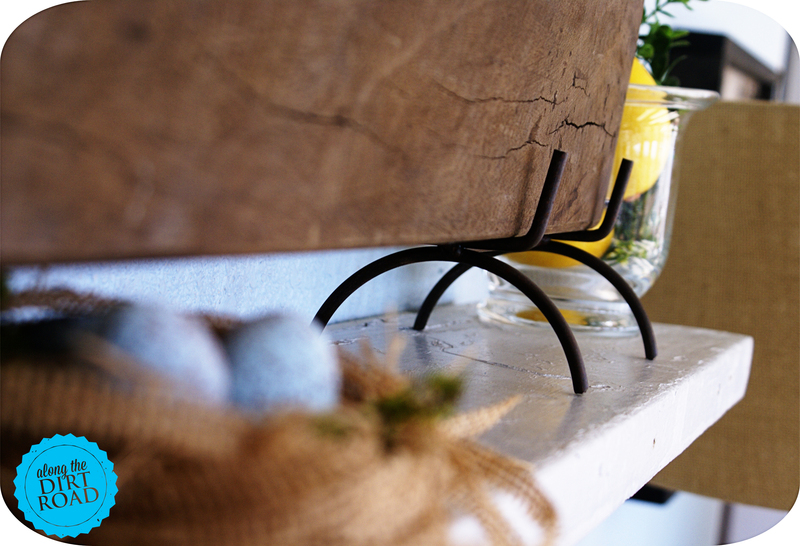 I added a tad of moss to the bottom and then some pretty faux eggs. I’m going to enjoy my nest, Dirt Roaders. It warms the “momma’s heart” in me. Far too soon…the babies fly away and make their own. Thank You Father…for the wisdom to enjoy them now…while keeping our eyes directed toward the future. I love You! Love this nest! I have tons of burlap and want to make some of these. Thanks for sharing! Jennifer….Yay! I’m so glad and you are most welcome! 🙂 k.